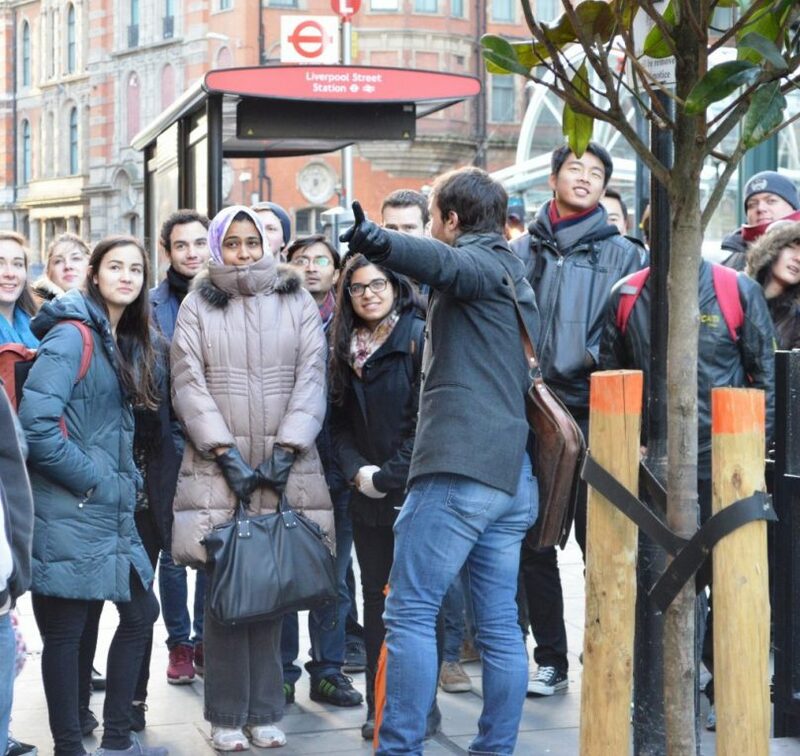 StudentUniverse teamed up with The Abroad Guide to host an event on Wednesday evening to welcome 90+ international students to London who are studying abroad there this semester. The event took students on a tour of London, provided by Undiscovered London and then bus2alps gave away a ten day Greek island cruise and a trip to the Amalfi coast for two lucky winners at a cocktail reception held after the tour at King’s College. StudentUniverse partnered with the study abroad teams at the London School of Economics, King’s College and the University of Arts London to drive awareness for this event. For 20 years London has been the most popular destination for students traveling abroad. According to our booking data, for students from the U.S., London was the most popular study abroad destination for students from 31 states this semester. We look forward to replicating this event in the UK and the US in future semesters. It is a great way to welcome students and help them get acclimated with their new “temporary home,” meet other students studying abroad and connect with the travel brands that will help them to spend less to travel so that they can travel more and go further while they are abroad.